Freshly back from the Architectural Digest Home Design Show and now I have a fever-aches? Oh well… in bed with my laptop. Did you see the new sign up form at the top of the page? [well, duhhh] There’s a terrific report filled with my best advice for choosing paint colors. If you’re already a subscriber, then you’ve received the report and if not, then please subscribe and you’ll be privy to it as well. A lot of you have been asking me about and are stressing over your white paint trim colors. And it’s not that I blame you one bit. Did you know that Benjamin Moore makes some 150 different shades of WHITE? To add to the confusion, we have a wall color and a ceiling color. Oh, and a floor color. That counts because the color might reflect on your walls and ceiling to some extent. On top of that, we have lighting. We have trees sometimes; cloudy days and sunny days. We have different hours of the day and then there’s night. And there’s more. I have seen this over and over and over. I had this situation in my old home. I painted the walls and trim [crown, wainscoting, baseboard] in my living room ONE COLOR. It was Pratt and Lambert Ancestral and I loved it. But one thing. The crown moulding always looked ever so slightly pink. No where else did it look like that. There was no pink in the room. And there is NO pink in this paint color. As a matter of fact, the colors underneath Ancestral are green! It didn’t bother me, in fact, it was kind of interesting and it wasn’t on every wall. Other oddities I’ve found is off-white paint that looks stark white. Or cream paint that looks positively peach. This is why white is the most difficult color. It’s highly reflective and therefore can take on seemingly bizarre characteristics which are beyond our control. And that’s the operative word. We believe that it’s our right to control how our colors are going to behave and that’s where I think the crux of the issue stems from. We can’t control it anymore than we can control the movement of the sun. Therefore, in the interest of getting on with more important things in life, like our families, friends, jobs and blog writing, I’m going to tell you one thing. STOP STRESSING [so much] OVER YOUR WHITE PAINT TRIM COLORS. Really Laurel? But what if the cream looks yellow or the white looks cold or gray? Why six? Because I have found that these six colors cover the gamut and are generally reliable. Still, you must test, test, test as always! And test the paint in the can to make sure that everyone understood what to order and mixed it correctly! about white paint trim colors that I think will be helpful. For walls with colors, certain colors like blue and yellow will look horrible if the trim is slightly beige, pink or dirty gray. try to pick one white paint trim color for your entire home. this is not an absolute, but a perfectly valid choice. My old living room ceiling was a beautiful pale aqua called pistachio. I loved it! AND, if you want white walls, paint those the same color too! But, Laurel, what if I want the moulding to pop and I want contrast between the wall and the moulding? Right… cause you’re going for that “wow factor?” It can be plenty wow if painted the same color. Most of my clients don’t want it to be the same color and I specify two different colors for walls and trim. Here are some lovely examples of rooms where ceiling, trims and wall are the same color or almost the same. Have you ever seen such beautiful millwork? Just yummy! Don’t you just love those closet doors? Who was it who said that an all white kitchen is so cold? This was a winner at the Atlanta Homes and Lifestyles Kitchen of the Year. Stunning! It appears that the range surround is painted a deeper color. I say “appears” because I have seen situations where something looks like this and it’s the SAME color! I was a bit upset about this because I know that this is Loi’s home, however, I could not find one photo on the internet that credited him. It drives me nuts when someone credits photos to pinterest! White Dove OC-17 – the universal donor of paints. It almost always looks great. It is a white with a touch of cream and a touch of gray without being dirty– usually. Linen White 912 – It’s usually not my first choice for walls unless the space has good lighting. But this is often an excellent choice for deeper colors like browns and golds. Fair warning, I did recently see this looking peach which I had never seen before. Are there other great colors? Yes, of course, but I’m trying to simplify your life. With some of the colors, the difference is so minute anyway. If you want to see the entire list of wonderful whites, here is a list of 20 great shades of white paint. I have a can of it because that was what was used in my apartment for the trim and ceilings before I bought it. For the ceiling it’s White N215 01. [that’s the flat formulation] It has different numbers for different formulations. Most of the time it is fine, but sometimes in the living room reads as being too white. I don’t really ever notice it however. In the bathroom, I really like it with my pale gray, Shoreline walls. I didn’t put it on the list because over-all, I like simply white better. However, plain old white is often an excellent choice for gray colors. Another color that is good sometimes is decorator’s white. It is also good mixed half and half with either linen white. What are your favorite white or off-white trim colors? Have you ever made a whopping mistake that the rest of us can learn from? For my very favorite shade of white paint click here. Are White Painted Walls Boring? Do You Live With a Drove of Pigs But You Want To Decorate With White? And What About Your Ceilings? Must They Always Be White? Thanks so much for this great comment! Much here. and then went running to my fan deck. I have never heard it mentioned either. But it is as you say, a clean, warm white. I haven’t compared it to some of the other whites in the “Color Preview” but I am guessing that it’s close to Chantilly Lace. And it might BE Chantilly Lace or some other white in the CP fan deck because they do that. That would make a great meme! And it’s yet another reason why I can’t recommend paint colors from a distance. And if there, it’s a bloody crap shoot. My favorite is when a wall color looks like pale cool gray on one wall and on the adjacent wall looks pale dirty gold. Yes, I have seen this phenomenon a few times. But the other thing is that having a point of reference is very helpful. For instance, you tried some whites and they were either too dingy or too yellow in your space. From there, you could look for another white that was neither of those things. I’m sorry but I’m not doing consults at this time. I would speak to your designer or find one that works better for your needs. That’s very difficult to answer because I don’t know if we’re talking new wood, old wood, stained, already painted, etc. Plus, there’s the skill level of the painter. Is it going to be sprayed or hand-painted. Personally, I prefer the alkyd (oil based) paint. It’s difficult to get though. I used the BM advance over an standard alkyd on my kitchen cabinets. I really didn’t want any yellowing or lingering odor. I hear you on the odor, however, I had my oil based paint up for 17 years and did not see any evidence of yellowing whatsoever. I enjoy your blog and recommend it to all my friends. 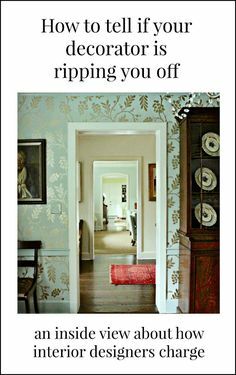 I have a hallway with off white damask wallpaper. It’s Schumacher but feels a little dated. I wanted to paint the ceiling, baseboard and doors to freshen them. There is no crown molding. Lately I have been painting all my ceilings and trim BM’s Chantilly Lace when I have light colored walls. However I worry it will be too stark for the wallpaper. Should I choose a complimentary off white shade for the doors and trim and use Chantilly Lace only for the ceiling? Should trim and ceilings be the same color? Oh, how I wish I could give you some advice, but without seeing the paper and standing in your room, it’s impossible. However, I will say that small differences in white for the ceiling don’t matter. But, if any doubt, make your samples and tape them up. More difficult on the ceiling. if coventry gray has more blue in than green then why is the RGB factor 72.55 R 73.3 Gr and 71.76 Blue? Just trying to learn! There’s a base to every color and that also affects the colors. A plain base has a bit of a blue undertone to begin with. That is why so many grays go blue. In addition, green is a combination of yellow and blue, so more blue. I am painting my newly built home, Coventry Gray, Stonington Gray, and Wickham. Since they are all light green based, shouldn’t I pick a white for the trim, with a light green base? I was leaning toward SW Site White, also like SW High Reflective White but that is fairly bright. Yikes, I’m on the plane and my charger is konking out. No, you do not want a white with a light green base!!! First of all those colors have blue in them too. And in the case of Coventry, more blue than green. I have chosen 3 shades of gray for my house.. Horizon Gray for Hallway, living room and kitchen. What colour white would be good for trim and ceilings. I love your blog! It’s been extremely informative. I’ve finalized my colors with your helpful advice. For my north facing dining room, I’m going with a deep red. It’s a toss up between two Benjamin Moore colors: Heritage Red and Rapture. They both look equally good both morning and night. My Spanish Revival home has dark mahogany trim and I’m wondering whether you’ve had a good experience with any particular BM white for the ceiling in a primarily red painted room. Thank you so much! Coincidently, I have Linen White in the adjacent living room in Matte. Hi Laura, ONE more question you probably hv answered 100x. I would still test, but feel 95% confident with cotton balls since I’ve used it so many times and in many different lighting situations. Please NO! Please do not ever just do something because I gave it as a suggestion, because a suggestion is all it is! You must always, always test your colors. I can’t stress that enough. I’m also LB of course! It sounds like you have a north-facing room. Or, the time of day that the painter was painting acted like a north-facing room. I am installing board and batten “faux” wainscoting in my son’s room that needs to be painted white. The walls above the wainscoting will be painted Hale Navy with one wall having horizontal navy and white stripes. I think my white stripes should be the same color (but maybe different sheen) as the wainscoting. Any suggestions? Also, my walls are plaster and have a very slight stipple to them. I’d like the smoothest look possible for the “board” and batten so I’m a little hesitant on something too glossy. That’s not easy to answer because it depends on if it’s new wood or being refinished and the skill of the painter. I usually use semi-gloss paint, however. Found your website while searching for white paint colors for trim. We are biting the bullet and painting all of our 25+ year old home’s originally stained trim. Room by room to avoid being overwhelmed by the project. I really want to use the same color trim thru out the house. Was considering BM-Atrium White. Thoughts? We do have one bathroom that has white tile, grey grout, white tub, toilet, black vanity. Should we pick a different shade of white for that room? I’m sorry but I’m not there to see your specific situation including what other colors you are using, other floors, furniture, lighting, surrounding areas outside– all can affect the color. And even if I knew those things need to be there in person. I am so giddy to find your blog as I am obsessed with paint colours and white and love to hear thoughts on them! I cannot wait to read all of your posts as I thoroughly enjoy your style of writing! I am sure you have heard of Maria Killam? Another “colour whisperer” from Canada that also has fantastic advice on whites. White and Beige are truly the most difficult colours for clients and designers to master! It’s all about those undertones! Sounds like you need the help of an interior designer and/or color specialist. I am no longer doing consults and when I was. there was a hefty fee to help folks figure stuff like this out. The only thing is… a lot of designers won’t get in the middle of something that’s difficult to fix. Not saying that yours is… but you should find someone who can help you in person. Thank you for all the great info in your post. I’m using mannequin cream lightened by 25% and can slightly see the gray in the white dove in my northwest facing living room. Have you had experience with white dove coming out ok with yellow walls? Also, so you recommend using white dove on ceilings too, or cutting it by 50%? It’s really a personal preference. Ceilings are usually flat unless they are pristinely perfect and you’d like to see some sheen. Sorry, no, I don’t. Lovely room, isn’t it? It’s my belief that what makes it extraordinary is the architecture and furnishings, not the color. It could be any shade of white and be just as lovely. I hope you can help. I am building a new home and plan on white throughout. I am leaning towards simply white on trim and cabinets but am still unsure of a wall/ceiling color that will coordinate providing just a bare minimum of contrast. Would white dove work or should I use white dove on the trim and cabinets and simply white on the walls? I’m glad that you enjoyed the post Sara. Good luck with your daughter’s room and trim color. I hear your frustration and worry. However, I am not there to see what you are talking about. There is no such thing as a standard white subway tile color. There are dozens of manufacturers and different types of glazes. Hi! Love your site and wonderful information! I was wondering if different shades of white could be used in adjoining rooms? Yes, big mistakes trying to use our current “white” trim color and just paint the walls. We have navajo white everywhere….we have it with october mist, comfort grey (which is really a sea salt blue) a grasscloth room and a wallpapered dining room. all very restful and inviting and the trim really pops. when we took down the wallpaper in dining room and tried to paint the living room and hallway walls (think it is harvest buff), realized navajo white is very yellow and goes with none of the neutrals we are trying to use!!! makes all the neutrals look cold and cement-like!! ohh, the thought of painting all the trim!!! wish i could find a warm neutral that is not yellow. 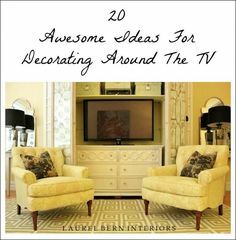 have been using lots of green and beige in kitchen, warm living room colors (though there is a blue sofa) and the trim has always look great! Hi, love this information. We have an older cabin with the interior done in knotty pine, including all the walls and ceilings. This tends to be yellowish in colour and makes the overall feeling dark. We want to replace the kitchen cabinets with painted ones to break up all of the wood. 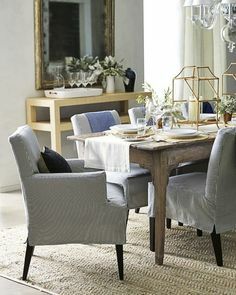 I would like something off-white or more antique-looking, because I think something too white will look too stark and not look good with the rustic feel of the place. What undertones should I avoid? 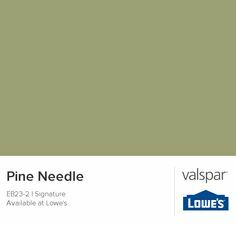 Should I pick something with a creamy undertone or will this just make the pine look more yellow? I think cloud white is too white. I am considering ivory white, and haven’t got a sample of linen white to compare. Thanks so much for your detailed post(s) on paint! Unfortunately, some of us don’t have a lot of natural sunlight in all rooms; any suggestions for a North-facing master bedroom? There’s only one window – on the North wall. I’ve tried a few paints but so far, everything reads sort of grayish or greenish. The furniture is dark wood the carpet is creamy / off-white. Thanks for the great information- in the middle of a kitchen remodel- cabinet, trim, walls will all be white dove! Do you know if the black window are painted black (in the second to last photo) or are they a steel frame? Love that look but the steel window frames are very pricey. Just moved into new home. Walls r Benjamin Moore bone white n doors satin bone white. I want to paint my closets but don’t know what color to go. Like bone white but don’t love it ( will b changed at future date). I did a fairly dark gray in my kitchen by Jeff Lewis, “Storm” I THINK, but trim everywhere is ultra white! I want to paint my oak kitchen AND oak built-ins in LR white, but NOT ultra white. :/ Do cabinets and trim have to match?? What white will be softer than/not so stark as ultra white, but not clash with trim?? Oh please do waste my time. lol And thank you so much! I am not familiar with Ultra White. Is that a Behr color? In a perfect world the trim and cabinetry should match but mine doesn’t. (not my choice it came this way). However, there’s no crown (nine foot ceiling) and only one window and very little baseboard. I think you may have read that wrong. It is the same paint for trim and cabinets. You may use a different color for the walls. As for finish on the walls, I’m hearing varying reports about matte. It is supposed to be washable. They are both warm whites, but I am not so fond of cold whites because they can look quite icy. Are you putting a primer under your samples? If not, I would always recommend to since it can really change the color. I had of samples Benjamin Moores Collingwood (a very taupey grey) appear blue without a primer. I’ve never heard of that. I supposed it couldn’t hurt though. If one uses two coats of paint over white poster board, or a canvas board, they shouldn’t need to prime first. Primer is to make the paint stick and to cover up a wall color that is either much darker or lighter than the new color. In fact, the color of the primer could also tint the paint if only one coat of paint is being used. Are you moving your sample to different areas where the cabinets are or will be? If you’re only looking in one area, it might be the one area that’s catching the reflection off the water. Hi! Updating a brick ranch from the 70’s and decided to keep the light blue and white tile in one of the bathrooms. Sorry Janet. If you’re having trouble and you’re there how am I to do it without even having that benefit? My recommendations are to get a fan deck(s) and match up the colors. They don’t have to be exact, but you will definitely be able to find something better. I’m going to use linen white on my walls. Because I have lots of light, I think it will look good. But, I need some advice about doors/ trim. White dove looks too grey. What would be good for trim without so much grey? I can’t make recommendations online, however, in the past have used linen with white dove and they coordinate beautifully. Linen white also has a fair amount of gray in it. White cloud is a typo on the graphic. It is 967 Cloud White and unfortunately BM created a color with the names reversed which I am sure has resulted in some mistakes. This is why when I specify colors, I always put both the name and number to lessen that possibility. I’m sorry, but I can’t give individual help in the comments–especially based on a description. In addition, coming into the middle of a project and advising is not something I do either. No worries. It happens numerous times a week. The general public has no idea what goes into selecting colors, but I have discovered that it’s next to impossible to do, even with photos and totally impossible based on a description. Thanks for your understanding. Love the info – I have bm white dove for all my trim and bm decorators white for the ceiling in my orangery extension with bm classic grey walls and it looks fantastic we get lots of compliments on the paint and who would have guessed since the colors are so subtle it’s hard to tell it’s even grey! I also painted my nursery bm silver satin with bm white dove trim because I wanted a really soothing and relaxing neutral. I didn’t realize the white dove was actually going to be darker than the walls but it looks good together. And of course, being that we’re identical twins, I love everything that he loves! I got both your notes and appreciate your needing help. Perhaps you missed the note which is as close to the comment box as I could get it. But it’s impossible for me to give individual advice. Thanks for your suggestions! Over the past two months, we’ve been up to our necks in a complete reno of our 32-year-old kitchen–including having new custom cabinets built. We’re settled on a two-tone kitchen (staining the base cabinets a dark walnut color and painting the upper cabinets white). I *thought* I had settled on Behr’s “White Dove,” which is a rich and creamy white. But after the countertops were installed (White Macaubas quartzite), I now see that the countertops are a lot grayer than I expected. I love them, but not with Behr’s White Dove. SUCH a good article (I loved the longer version as well). Do your recommendations change at all for a contemporary home, as opposed to traditional–especially in terms of using a different white for walls versus ceilings/trim? We’re building a home in the Colorado mountains–very contemporary with industrial and rustic accents. Nothing too harsh or sleek–lots of reclaimed wood and rusty metal. I had chosen Farrow and Ball’s ‘Strong White’–and was planning on just doing different finishes for walls/ceilings/trim. But now I’m wondering if I should choose two different colors? Every single piece of trim, the doors, and all but one ceiling in my house are painted BM Pale Oak. Sorry, Bonnie, but the comments are meant for discussion that can benefit everyone, not individual consulting. No worries. I write this note about 3 times a day–sometimes more! If you read yesterday’s post, perhaps it’ll be more clear why it’s impossible to advise people on paint colors without being THERE! It would be phenomenally unprofessional to throw out a color based on an image on my computer screen. In addition, I can’t see the light or anything else that’s going on that could affect the color. This is a great article, however, how does one deal with painting doors if on one side of the door is a warm white like BM “Cloud White” and on the other side, a cool white such as “decorators white”? Especially if you have painted ceilings and trim the same colours as the rooms. I am curious, when painting in white and keeping ceilings, trim and walls the same colour, as in the sample photos, how do they decide on sheen? That is a good question. Ideally, I love semi-gloss oil for the trim but it’s outlawed in some states, so then semi-gloss latex. 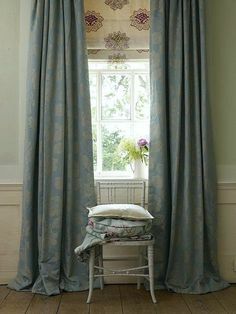 If one has a more country, slightly rustic home, then satin is fine too. For the walls, when using Benjamin Moore, I love their matte finish which is like flat only washable. If using the same color, you can use the matte on the ceiling. OR you can get a gallon of flat. If there’s any difference, though, it’s negligible. Thanks for stopping by and leaving a comment! I have not ever used White Heron, however, I’ve seen others who have. This is funny, but I’m working on my paint collection guide and putting my selections IN the guide as we speak. I narrowed it down to nine whites and I will tell you why. Sometimes the difference is between 10:00 and 11:00. What do I mean by that? I mean a subtle switch of the sun. Partly cloudy vs. partly sunny. 98% of the time, White Dove is an awesome white. I also adore Cotton Balls. Simply White is also terrific. All of these colors are lovely. But here’s the thing. Light has it’s own rules and it’s not always forthcoming. I have seen dark south facing rooms and bright north facing rooms. All rooms are dull and dark when it’s raining and all rooms are south facing at night. lol Right? The question I want to know is what else is going on? What are the fabrics? What color is the floor? And what’s going on with the architecture? If it is rich in detailing, it’s going to make a big difference for the better! The best piece of advice I can give is to stick with the tried and true and then after that, test it per my guide which subscribers get. Yes, it is very important and also something that most people don’t understand. I get requests on a daily basis to just throw out a color that will look good with x, x, x and x. But there is a ton of other critical information I do not have and so it’s impossible! It would be like a doctor diagnosing and illness without seeing you and/or doing some tests. We just painted a room SW Panda White and found your site while searching for paint trim ideas. SW Panda White looks great and I think you would like it but, the SW Ancient Marble color in an adjacent room reflects onto the SW Panda White just enough to make you lose your mind that the Panda White is green. Laurel, thank you so much, very educational post! Like you said, we closed our eyes and selected the white dove OC-17 for the interior side of our entry door during the ordering (based on popularity). Now, I assume we are done with the selection of the trim – automatically it will be white dove semi gloss. Now, following your recommendations we can chose the same color shade matte finish for the walls and matte or flat for the ceiling. This is our main scenario. As an alternative our architect said that he personally would recommend additional scenario for consideration – slightly darker shade of white for the walls. I was thinking about China White but then change my mind after reading your blog (you dislike it). What white color would you recommend for the walls according to this scenario (a bit darker walls)? Should the ceiling color be the same? It’s one of those images that the pin it button “disappear” because it’s white on white. haha! but if you click on it, it should take you to pinterest. The other thing you can do is install the browser pin it button directly from your pinterest account. If you click on the + sign in the upper right hand corner and click pin from a website, it will take you there, or you can just put in the url from the post. I really don’t think you can go wrong with Cotton Balls. There’s a pic of it in my most recent post with the sconce and fireplace mantel/stockings. It’s definitely white, but soft and warm and not yellow. Ivory is also very beautiful but is definitely creamier. I always suggest making some large test samples on heavy poster board. Tape them to the wall flat and move them around and look in different lights. Also, it does help to know what your other finishes are. Hold them all up together in the way that they will be living. Hi there… I have a two-level smaller condo. It is entirely beige. Beige wall-to-wall, beige counters, off-white walls (not so bad), and the worst–darker beige/taupe trim and doors throughout–a lot of it (ten doors, multiple windows). The beige trim is a near match for the beige carpet. Nearly all the walls run into each other with no natural breaks. I am a color person (think contemporary/eclectic cottage look) and an artist and all this beige makes me… sad. Fresh wall colors like yellow and green will look awful with the beige. Anyway, I am considering painting, myself, all the trim and the doors a reasonably bright/clean white in hopes of brightening the place up. I am on a very tight budget. This will take me forever. Any suggestions for whites? OR, will this just make all the other beige just look dingier? I cannot afford to switch out the carpet for hardwood/bamboo floors yet. I’m sorry, but beige is a subjective term. I don’t know if it’s a pink beige or a yellow beige or more taupe. So, it would be unprofessional of me to be throwing out colors. My suggestion would be to get some test samples and paint them on a large piece of poster board and tape flat against the wall. thank you Bridget. I do try to be nice. Can’t say that’s always the case. I figure that it’s a good idea to acknowledge those that are kind enough to take the time to make a comment. There was a blog that I liked and I would comment and never heard anything back. After a while, I lost interest. Earlier this year, I actually met the blogger at a conference. It was then that I realized that she is actually rather shy. But she was bemoaning that her traffic had fallen back. …because I hear the best time to try paint is at dusk when there’s almost no sunlight and you have half dusk-light and half terrible track lighting pointing on the swatches. I am painting doors, trim and millwork in two dark bathrooms with no windows (one with cararra marble floors and BM Sunlit Coral walls, other with Nobilis rust-orange and white wallpaper and creamy stone floors) – the rest of the loft has northern sunlight and is entirely painted in Restoration Hardware taupes by the previous owner. Your descriptions were so spot on. Cloud White was the warmest and looked too old-fashioned in my spaces, but is pretty. Chantilly White was by far the brightest in my swatches (which commenters had suggested) almost glowed blue in my bathrooms without light. I think that would be great in some apartments if that’s your style, and probably if you have dark wood floors and gray walls and stainless steel everywhere- but with warmer colors and natural stone it looked too clean. Dove White was my second choice- close, but no cigar. COTTON BALLS ALL THE WAY. How is it so warm without being dirty AND bright without being cold? Hi Elizabeth and warm without being yellow? I don’t know. I just had a client paint her entire large living room cotton balls. Even empty it looks gorgeous! There are a lot of trees around and windows at two ends (and indirect from an adjacent sunroom with French doors) But, it’s never a light bright room. THANK YOU! I forgot that I have to give my painter a trim color tomorrow morning and the hardware store closes in 30 minutes! Any experience with floor stain? We have oak we are trying to achieve a light grey with.The stain we have on it as a sample appears too dark but when they put a lighter version of the same on it there was too much yellow/orange/pink coming through. Would it work better if we did a grey stain and then a white stain over that? Any ideas?? Hi Angela, I’m sorry but I am no longer giving interior design consultations and when I was, the minimum fee is $250. I am painting interior of a Cape Cod style house . The rooms are small and not much light. There are beautful whited plantation shutters already in the home . The walls were very dark and differnt in every room. Even the primer opened it up miraculously. I chose a flat white BM paint Chantilly Lace and now wonder if I should go for it and Do all one color on trim , wall and celing? I am doing a new home. Santa Barbara exterior. The interior I want is cool and bright. No more Tucson or earth tones. The rooms are large and have lots of light. The floors are a medium color hardwood. I am trying to pick a trim paint and a wall paint. I want to stay light on the walls. I want the difference between the trim and the walls to be ever so slight. I tried Dunn Edwards version of White Dove and it appears yellow. I have a post here “my north facing room is depressing me.” And there’s a white that I recommend for dark rooms which is Cotton Balls. The color may not end up not looking as white as you had hoped. And often a white in a north facing room will look gray or beige, or just plain dirty. In an older home that dirty white can be nice. I found this site very helpful. In particular, I like the idea of using the same color for the trim, ceiling and walls. Do you think White Dove works well when taking this approach? If so, do you think white dove works well for the ceilings throughout the house? Lastly, what finish do you recommend for the trim? Thank you. Answers questions I could not fomulate clearly which were lurking nonetheless amid all the confusion. The idea of same color walls and trim was helpful, as I thought that was only an economic consideration, not a possible aesthetic choice. From there, the question of sheen or finish arises, since this is for a rental unit that turns over every year or so and thus we would like more durability than matte might offer – unless you thought differently. That is the only question left. My experience with matte is that it is extremely durable and washable. I disdain eggshell unless it’s a dark color. I think it looks a bit plastic-y when on a large area. In addition, the matte will be easier to touch up. Eggshell shows more flaws. I’m painting a spare bedroom and will be using it for my new walkin closet… I have put in recessed lighting and used light grey ceiling paintg…for two of the walls, I’m making them black (two small walls and one is mostly mirror) the other facing walls will be white. My question is…what white and what do I paint my crown molding? Trotted off to Benjamin Moore paint dudes and purchase my very own color thingy only to find half the paint colors you mention aren’t on the darn thing. I got the “classic colors” one. Some of the colors recommended were there but other color numbers were off in never never land – I am assuming number 122 cotton balls is not equivalent to the number122 orange sherbet indicated on mine! Any advice for our Exterior White Trim with “BM Copley Gray” for the body? We are working towards a more craftsman style house. We used White Dove inside for trim and love it (with Edgecomb Gray walls). But, White Dove might be too bright outside. I’ve never liked stark white trim. Or should I say trim that appears to be stark white. The important factor is does the trim color coordinate with your wall color in the room it’s going in? It is NOT rocket science. The trim color is going to look different in different portions of the room, in any case. Revere Pewter is a difficult color to describe and it’s changeable according to the light. Sometimes it looks a little bit green. It is not beige and it is not gray. It’s in between and very pewter like! Whites that look bad with yellow might not apply to RP. However, a very stark, cool white is not going to look good with RP. White Dove is a pretty safe bet. Can you tell me the name of Loi Thai’s paint color in the picture you posted? Thanks! Thanks for the fast reply! I read this post with great interest because I am discovering white is the hardest to choose. The internet is helpful, but the colors on my computer screen are not even close to the actual color when I see it “live”. I have been reading other blogs and designer posts as well in an attempt to figure this out. I like the fact that you spoke about one white that was fitting for an older home as opposed to stating they must have the same undertone ie, cool colors with true white and warm colors with cream. I find that limiting and not always true. 1) You mentioned you’d recommend ceilings and trim the same color. Do you mean the same color, but different finishes (i.e. matte ceilings and semi-gloss trim?) Or no? 2) And you also mentioned same color trim throughout the house…what color would be your recommendation if all the walls were going to be taupe-y with maybe some light greens and blues in some rooms? Hi laurel, love your site! For a kitchen with existing what te cabinets does one typically match the cabinet white for the trim and wall and ceiling color? What is your opinion of “handmade paper” for the basic walls? I don’t get much direct light, some defused, and my home is a 70s red-oak floor type construction. I want a warm feeling – so I am trying to avoid grays and stay more in the golds-coppers-reds-yellows-seafoam tones for colored walls. Based on your recs, I went with bedroom ceiling in white dove. It does look a tiny bit dirty, actually, so I might switch to the cotton balls one for the living/kitchen/hallways ceilings? My friend thinks handmade paper would be nice but I am worried it will look dirty/dull. Hi SF, I try to make it as clear as possible, that I do not recommend paint colors for every job. I always say that it’s imperative to test! The colors I select look good most of the time, but depending on the lighting might not look like they typically do. Lol, I was just sifting through every comment to see if someone else caught that mistake! You are a great resource! We painted the exterior of our house in White Dove and it was extremely buttery looking which surprised us. We ended up mixing White Dove with BM White Heron in a 50/50 ratio, repainted and we love it. Not too stark with the perfect amount of softness. Usually they put up that dreadful ceiling white. Well, it’s not always dreadful, but often it is. A creamy white is preferably, IMO. And it’s absolutely fine to use a whiter shade of white for the trim. Thanks so much Lisa! These are all winners depending on the situation, look one is going for and lighting. 95% of the time, however, white dove looks great in a kitchen. It’s warm, but not yellow and not too bright a white, but not dirty either. Of course, please test before buying. But that’s why I narrowed down the field. These are the main whites that I’ve used for 25 years. Yes, I’ve used some others but some of them are so close that it really doesn’t matter as much as one might think. Laurel, I love reading all your post! I get so excited when I see email from you. In regards to white paint colors, which one is your favorite for kitchen cabinetry? I would rather have a root canal than choose paint colors. Thank you so much for all the wonderful and helpful information you share with all of your readers. Thank you for your thoughtful comment Erika. I don’t know if you read any of the other comments, but I can’t give specific individual advice like this on the blog. I do give private paint consultations, but there’s a fee for that service starting at $90 for one room that has one basic color with trim and ceiling. I can say this however. It sounds like you might be putting good money after bad. Why don’t you have the cabinets painted a brighter shade of white like White Dove and Then paint the trim and ceiling the same color. Hi Emma, So, glad the 20 shades list was helpful! Can you create a pinnable image with the white paint colors you specify here? My fiancee and I just moved into an old house (built in 1919) and I want to update some of the walls that are a buttery cream to a warm white and would love to be able to easily reference this again.